A day at the park | The Tales of Missus P.
Here are a few pictures I took at the park today. I used my Kodak Easy Share mini M200 for a change. I got this camera for my birthday last September and, low and behold, it doesn’t have a share option to anything other than email or Facebook. Frankly, that makes it’s pretty useless if it doesn’t support Twitter, Flickr or Youtube anymore. It has no image stabilizer so it’s a pain to get a decent photo out of it anyway. I’ll stick to my Canon PowerShot SD850 IS for awesome photos or my HTC Sensation for stuff on the go, thank you. 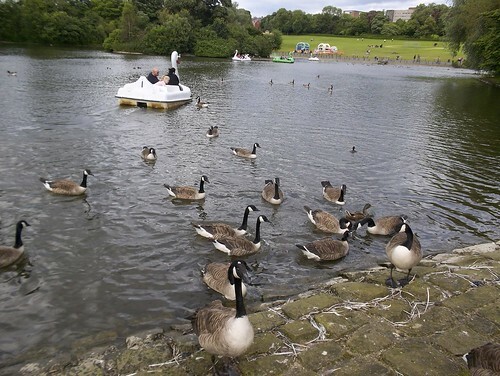 This entry was posted in All About Me, Technology, Travel and tagged birds, England, family, geese, kodak, life, Newcastle, park, photography, photos, pond, Saltwell Park. Bookmark the permalink.